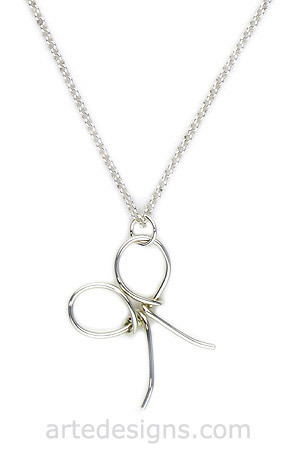 A cute little sterling silver bow takes center stage in this unique handmade necklace. The bow is hand-wrapped, so no two are alike. Approximately 1 inch high. Choose a 16, 18, or 20 inch sterling silver chain with a lobster clasp.